Journals: Full runs of more than 2,000 top scholarly journals in the humanities, social sciences, and sciences. 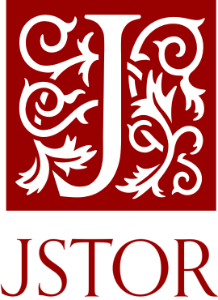 Books: 50,000 DRM-free ebooks from scholarly publishers, integrated with journals and primary sources on JSTOR. Consumer Reports Online The Fletcher Free Library’s account provides you premium access to product reviews and ratings on cars, appliances, electronics and much more. Kanopy, the popular on-demand video streaming service. All you need is your FFL Library card: Stream a free movie or TV show today! Users can access Kanopy through a variety of devices and platforms, including Chromecast, iOS and Android, Roku, and Apple TV. Kanopy is also compatible for hearing-impaired (with captions and transcripts) and visually-impaired patrons (compatible with technologies such as JAWS). LearningExpress is an online guide to test preparation in college placement and career advancement. Includes practice tests for: academic, advanced placement, basic skills success, civil service, college preparation (SAT, ACT, PSAT), firefighter, EMS, GED, GRE, MCAT, law enforcement, military, real estate, skills improvement courses, teacher certification, and US citizenship. Transparent Language Online is available FREE to Fletcher Free Library card holders. This web-based language-learning program covers 80+ languages, including English as a Second Language. Universal Class Learn something new today! Brought to you by Vermont State Library, Universal Class offers access to over 500 online continuing education courses. Subjects include: computer training, photography, resume writing, GED training, business courses, and many more. Classes are Internet based and feature real instructors. Videocameras, microphones, iPads with video editing software as well as in-house editing equipment, provided through community PEG (Public, Educational and Government) access funding. AV Equipment loans and low-cost training opportunities.